Another beautiful hole on the course and club selection is vital in hitting this green. 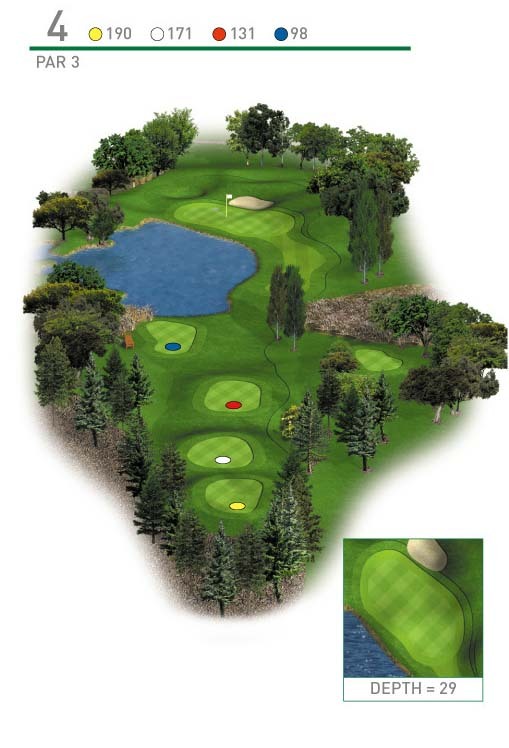 Your tee shot is played over water which protects the front of the green and any ball going long will end up in the bunker positioned at the back of the green. Walking away with a par of this hole is a good result.